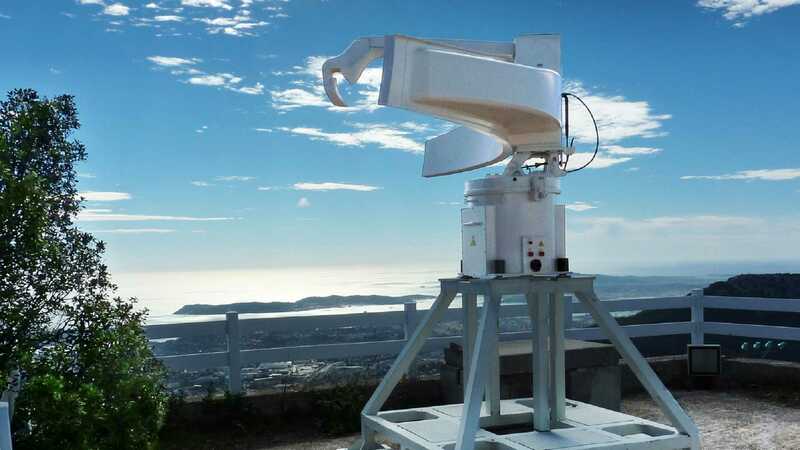 Coast Watcher 100 is an X-Band long range air and surface coastal surveillance radar designed for security missions (piracy, terrorism, illegal immigration, illegal fishery, trafficking, assets intrusion … ). Coast Watcher 100 provides an excellent detection of air and surface small targets even in harsh environment. It’s range profile function (high range resolution) allows a target classification. It has an outstanding operational availability (one preventive maintenance per year) thanks to its solid-state transmitter and reconfigurable processings. A military version (with ECCM features) is available. The Radar uses a Gregory antenna system. 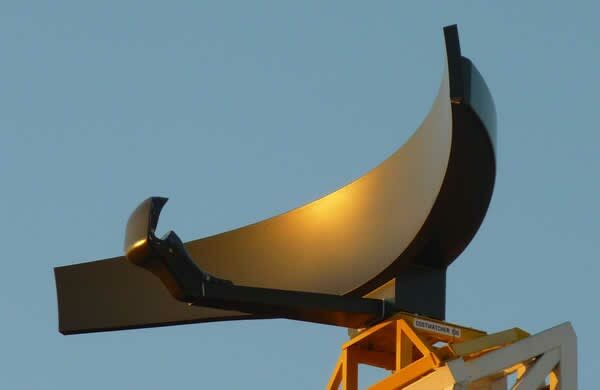 The parabolic reflectors are made of Carbon fiber reinforced plastic. If the boom with the feed horn is at the top of the reflector as shown in Figure 1, then the antenna radiates an inverse cosecant squared pattern.